Bolbitis angustipinna (Hayata) H.Ito, J. Jap. Bot. 14: 443. 1938; Hennipman, Leiden Bot. Ser. 2: 152, f. 40. a–f. 1977; Hennipman, Fl. Males., Ser. II, Pterid. 1: 321, f. 26c & 27a. 1978; Tagawa & K.Iwats., Fl. Thailand 3: 311. 1988; Boonkerd & Pollawatn, Pterid. Thailand: 181. 2000. – Leptochilus angustipinnus Hayata, Ic. Pl. Formos. 5: 297, f. 119. 1915. Gymnopteris contaminans auct. non Bedd. : Bedd., Handb. Ferns Brit. India: 435, f. 264. 1883; Bedd., Suppl. Ferns Brit. Ind. : 104. 1892. – Bolbitis contaminans auct. non (Bedd.) Ching: Tagawa & K.Iwats., SouthE. Asian Stud. 5: 91. 1967. Terrestrial. Rhizome creeping, up to 1 cm diam. ; scales up to 6 by 1.3 mm, dark brown, entire. Sterile frond: stipe stramineous, densely scaly at base, rather densely above with small fugacious more or less irregularly shaped scales, about 40 cm long; lamina oblong-lanceolate, acute at apex, 60–80 by 30–40 cm; rachis scaly with membranous appressed scales usually irregular in shape; lateral pinnae up to 20 pairs, middle ones the largest, patent or slightly ascending, straight, sessile, linear-lanceolate, caudately acuminate, round at base, up to 23 by 2.3 cm, slightly lobed at margin, the lobes up to 1.5 mm long, a sharp tooth present at bottom of each sinus, terminal pinna distinct, narrow, up to 20 by 1.5 cm, lobed at base, often viviparous at middle portion; veins raised on upper surface, forming three rows of areoles between main veins, sparsely scaly beneath; softly coriaceous, green, glabrous. 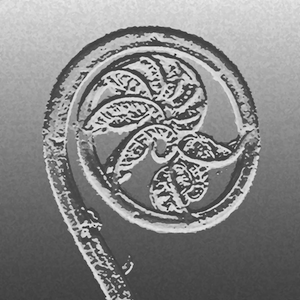 Fertile frond: lamina 35–45 by 18–27 cm; lower lateral pinnae shortly stalked, up to 130 by 6 mm, terminal pinna distinct, 70 by 5 mm, with lobed broader base . NORTHERN: Lampang, Tak; NORTH-EASTERN: Loei; EASTERN: Nakhon Ratchasima. Himalayas to Sri Lanka, eastwards to Taiwan and Luzon. On mountain slopes in dense evergreen forests at 500–1100 m alt.